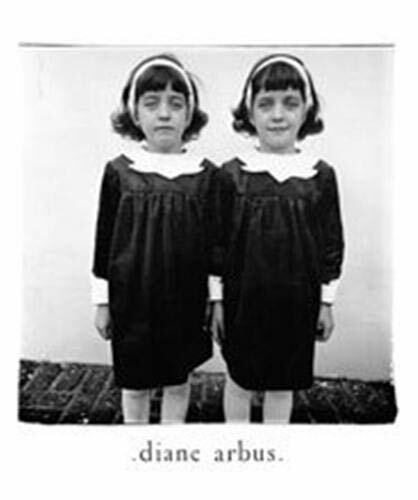 Diane Arbus was a photographer, born Diane Nemerov in New York City on March 14, 1923, who committed suicide in 1971. She favoured the TLR medium format cameras that gave square pictures. After working as a fashion photographer she devoted her last years to photographing freaks, outcasts and "ordinary citizens" in poses and settings that conveyed a disturbing sense that something was seriously wrong. Diane Arbus: An Aperture Monograph was originally published in 1972, one year after the artist's death, in conjunction with a retrospective of her work at the Museum of Modern Art. Edited and designed by Arbus's daughter, Doon, and her friend and colleague, painter Marvin Israel, the monograph contains eighty of her most masterful photos. The images in this newly published edition, marking the twenty-fifth anniversary of the collection's original publication, were printed from new three-hundred-line-screen duotone film, allowing for startlingly clear reproduction. The impact of the collection is heightened by the introduction, which contains excerpts of audio tapes in which Arbus discusses her experiences as a photographer and her feelings about the often bizarre nature of her subjects. Diane Arbus's work has indelibly impacted modern visual sensibilities, evidenced by the intensely personal moments captured in this powerful group of photographs.